Why scientists suspect proof of a turning point in Earth's history is sitting in a lake in Milton, Ont. Some scientists believe human activity and technology have pushed us into a new geological epoch called the Anthropocene. What they still need to figure out is exactly when this turning point began. A team of researchers believes Crawford Lake west of Toronto has preserved the answer. Some scientists believe human activity and technology have pushed us into a new geological epoch called the Anthropocene. What they still need to figure out is exactly when this turning point began. A team of researchers from three universities in Ontario is betting the answer lies at the bottom of a lake in Milton, just west of Toronto. "We feel strongly that Crawford Lake has all the right stuff," said Francine McCarthy, the team's leader and an earth sciences professor at Brock University who has been studying the lake since the 1980s. 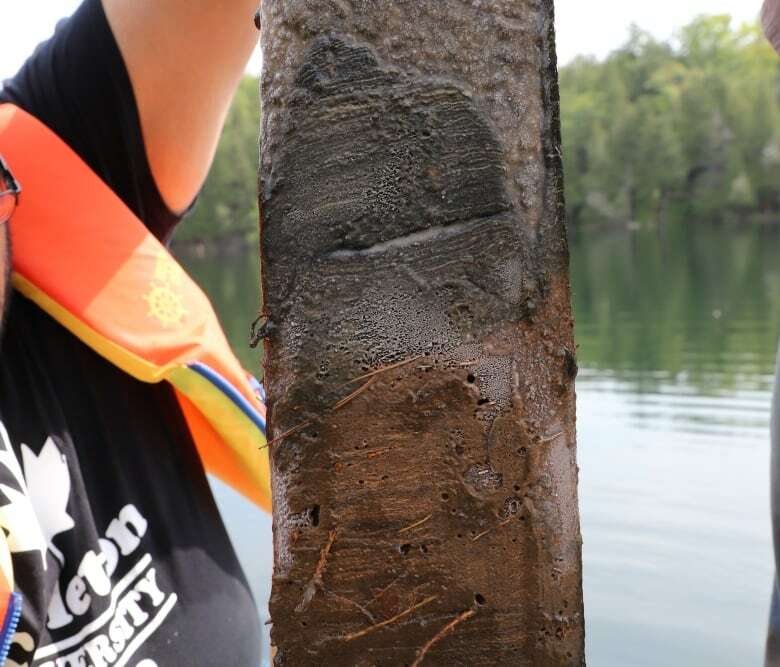 She says Crawford Lake is an ideal place to take sediment samples because it is 22-metres deep and anoxic at the bottom — meaning there's no oxygen down there. There also aren't any critters that live in the depths of the lake, so the bottom remains undisturbed, with material collecting year after year in layers. She says pieces of the bordering Niagara escarpment rock will crystallize in the summer and sink to the bottom, creating chalky layers. In the winter, when critters die at the surface, their bodies sink to the bottom and the organic material decomposes, creating darker layers. The process leaves distinct lines in the sediment for every year — like the rings of a tree. McCarthy and her team took a core sample of the sediment this week to see if they could find a particular year — 1950. That's the proposed start date of the Anthropocene, according to the International Commission on Stratigraphy, which has a group dedicated to defining this proposed epoch. They believe nuclear testing during this era and the widespread use of oil, coal and fertilizers have fundamentally changed how the planet operates, and can be seen in the Earth's rock formations. "Notionally, the Anthropocene is a time when human activities have overwhelmed the planetary system," said Martin Head, also a professor at Brock and chair of the international commission. Typically, geological epochs take millions of years to change and require a drastic global event to do so. Think of the meteor in the Late Cretaceous period that brought the dinosaurs — and that geological epoch — to an end. Since the end of the last ice age 12,000 years ago, we have been living in the Holocene epoch. But the commission is trying to get scientists — and the world at large — to agree on the fact we're living in a new geological epoch, and on when it began. In order to prove the start of the Anthropocene, the commission needs to discover distinct changes in the sediment. They'll be looking for spikes in plutonium and other materials like microplastics. McCarthy is hoping Crawford Lake will reveal the evidence. With its annual layers of sediment, researchers can count backwards hundreds of years and see what happened, including any drastic changes that started around 1950. "Anything we can find […] is going to be useful as a marker around the world," she said. In order to see these layers, the researchers, who also represent McMaster and Carleton universities, use a metal post filled with a mixture of dry ice and ethanol that freezes it to about -80 C.
From the middle of the lake, they drop it into the sediment and let it sit there for 15 minutes. That freezes the layers of sediment onto the outside of the post, and, if everything goes well, they can see each layer. The process of analyzing the sediment will take a long time, but Head is in no rush. The Subcommission on Quaternary Stratigraphy has yet to formally adopt Anthropocene as an official geological era — that's what the working group is attempting to accomplish. "The Anthropocene hasn't yet been defined. This is our job," he said — even if it takes years. Rachel Levy-McLaughlin is a multi-platform journalist. She has worked at CBC across Canada from Ottawa to Calgary to Whitehorse, Yukon. 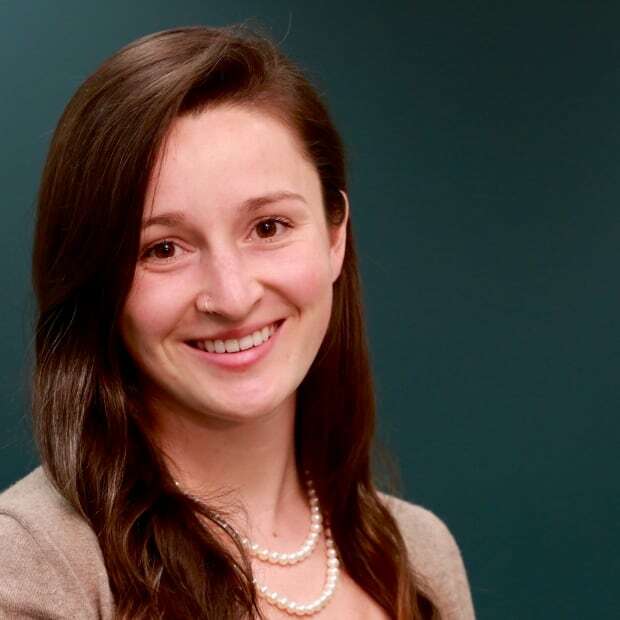 As a recipient of the Joan Donaldson News Scholarship in 2018, she worked at the Fifth Estate, and Calgary and Toronto local news. When she's not chasing the story, Rachel will most likely be found surrounded by plants.